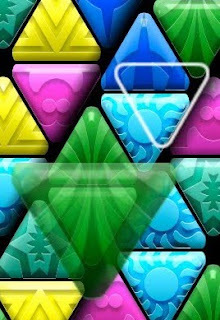 How many hairs been pulled from the heads of gamers since Steve Demeter's iPhone/iPod Touch puzzler, Trism, hit the App Store three years ago? I have no idea, but if I had to guess I'd say it's in the millions if not trillions. That number is sure to increase once Trism 1.51 (aka Trism HD) is released. After all, the update will allow iPad and iPhone 4 users to get in on the Trism action. No word on when Trism 1.51--or the announced-some-time-ago Trism 2--will hit the App Store, though Demeter assures both are on their way in his latest blog post. What do you think the chances are that I'll get an iPad, iPod Touch or an iPhone before that happens? Yeah, I don't think they're very good either. Well, maybe someone will make a shovelware copy of it for the Wii. Yeah, but I want an iPhone -- and the real deal!!! LOL I figured. I was just being facetious.